High end power cable featuring copper braided magnetic shielding with white silicon insulation. 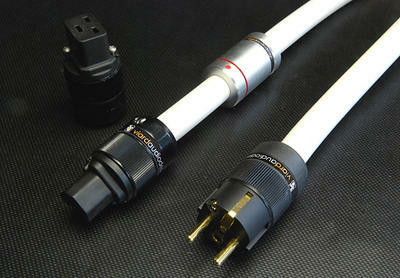 Despite the relatively large section of the conductors, this cable remains extremely souple and easy to install. IEC-320 connectors or USA Standard by request.